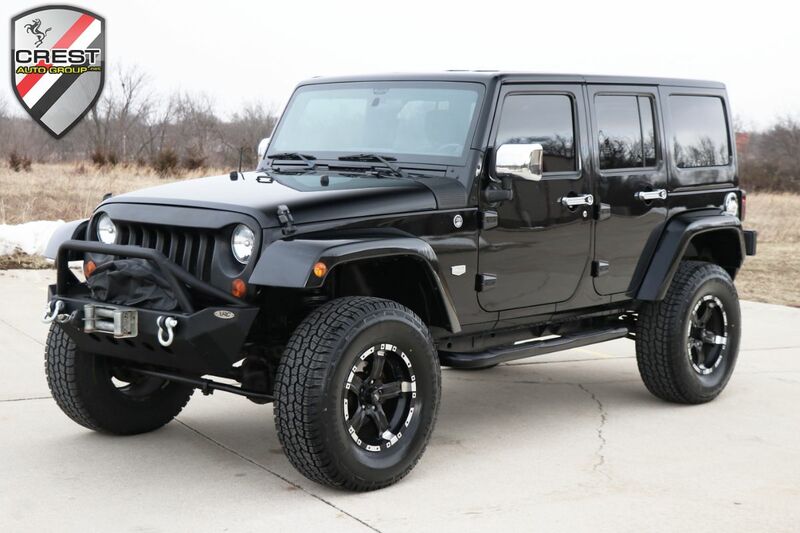 2011 Jeep Wrangler Unlimited 70th anniversary finished in Black with Black/Dark Olive Leather Interior. This jeep has some additions to it, which makes it stand out from the crowd! The Jeep has XRC front and rear bumpers, XRC winch, XRC heavy duty tire carries, 17” wheels with 33x12.50x17 new tires at all four corners! Truck does have a 3 inch lift as well!